Recently the Tullinator was playing 'mums and dads' with her friend. The friend had chosen to be Mum, various dolls were the children and my little one had opted to be Dad. She was heading off to do the ironing when I said to them (because I'm that kind of pain in the arse parent that does this kind of thing) "You know that some families have two Dads or two Mums instead of one of each don't you?. The Tullinator has looked at me quizzically. The friend has ignored me. This is fairly normal. "But who does the ironing?" Good question, as you were. Obviously my ironing contribution has not increased in the year since she asked me if I'd asked permission to use "Daddy's toy" the day I had to iron something myself. It was poor planning, otherwise I'd have asked Nick to do it for sure. This is like Genius. I wish I knew who did it. But I love that while she has very clear views about what 'Mums' and 'Dads' do - they're not entirely stereotypical. Or locked in. She learned about both Iron Man and The Little Mermaid from a young chap named Robert. She thinks Mums do cooking. She thinks Dads do ironing. She thinks Mums do running. She thinks Dads do the funniest farting. She thinks Mums do the best singing (may have been bribed!). She thinks that dancing is best done standing up. By anyone. She thinks lawn mowing is done by the person who can't think of a good excuse not to do it. She thinks that her Dad looks 'very pwetty' when he shaves. She wants to be tall enough to drive a cement mixer. She wants to be a doctor. And a ballet dancer. And a giraffe. She loves to play with Fire Engines. And dolls. And pirates. And dress ups. And puzzles. And books. She does like pink. But she likes brown too. And blue. And oweeeeeenge. And deep down, I think we're doing something right. Because she is who she is. She will like what she likes, and she will like what her friends like for a period far longer than her adult self will be able to fathom. She likes things that make her father and I weep into our wines. Things like Barbie mermaids. And she danced once to One Direction. But her concerns about a life without men is apolitical. It's not doubting that two mums is a good thing. It's not thinking it's wrong or right. 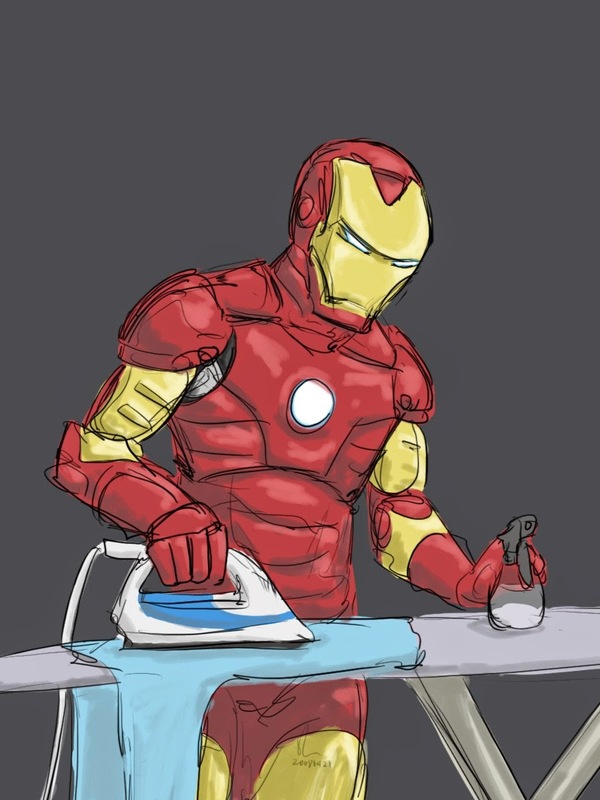 It's about the ironing. If there are no men, who does the ironing? And quite frankly, it's a jolly good question. If there are no men - who DOES do the ironing?